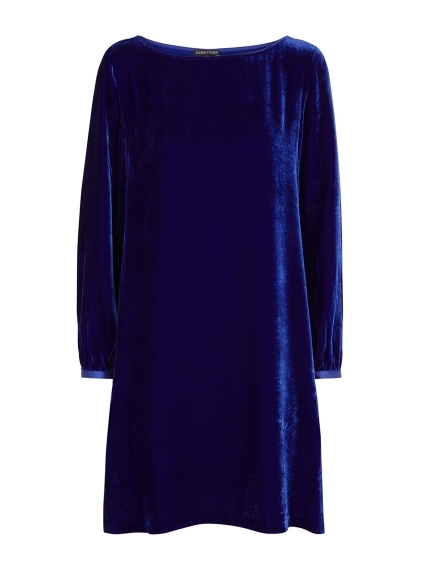 Velvet is always popular during the colder months, and we love Eileen Fisher's simple take on the trend. 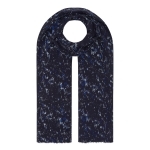 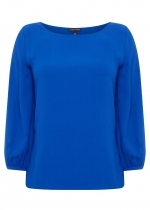 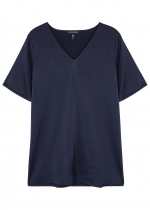 This easy-to-wear shape is energised by the vivid blue hue, and flatters all shapes with its flared silhouette. 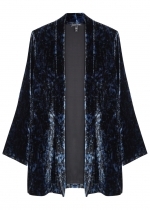 Trimmed with satin at the cuffs, it’s easily transferable from day to night with the addition of jewellery.